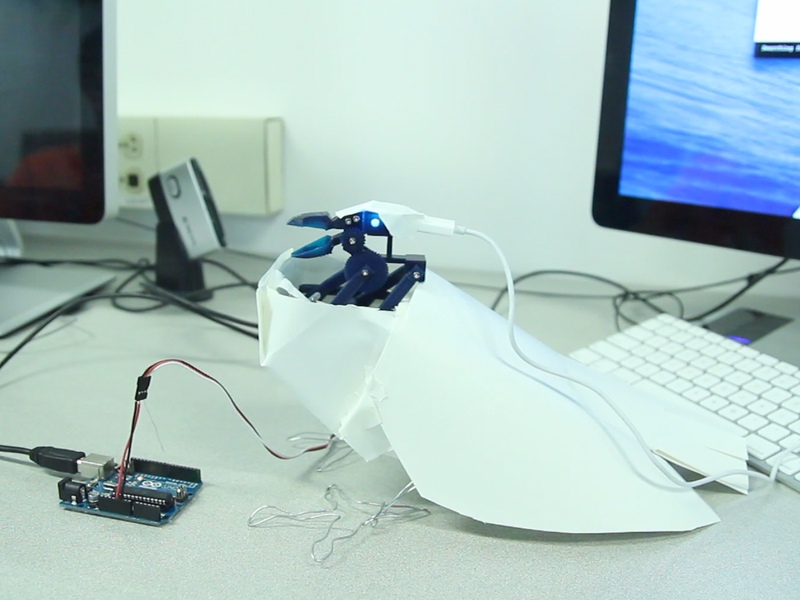 BirdBot5000 is a pigeon that reads tweets about pigeons. 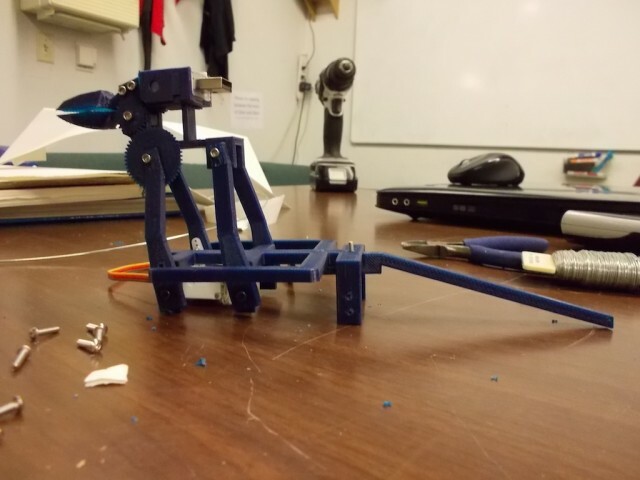 Most of BirdBot5000’s components are 3D-printed with the Robotics Club’s MakerBot. 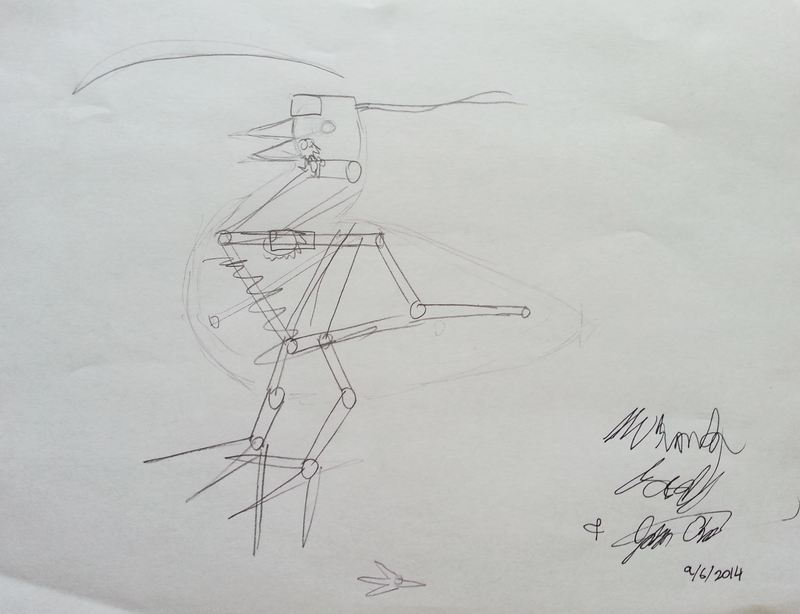 Arduino is used to control the single servo that powers BirdBot5000’s ability to move. On the programming side, Temboo is used to interface with Twitter, as well as to assist in generating Processing code. The Processing library for Blink(1) is a bit outdated, but still somewhat usable, so it was also incorporated. Finally, Processing TTS (Text-to-Speech) was implemented to get the bird talking. The final program searches for a new “pigeon” tweet every 10 seconds. When such a tweet is found, the servo activates, the Blink(1) changes color, and the tweet is read aloud. After the tweet is read, the servo activates again to return BirdBot5000 to its resting position. BirdBot5000 is for the consumer who wishes to always be in the know about pigeon-related news on Twitter. BirdBot5000 can also be configured to search for different keywords over varied time spans. Tired of reading through an endless scroll of tweets? Have a little birdie tell you the latest news instead! Note that this device can also be used to systematically scare little children at the local aviary.